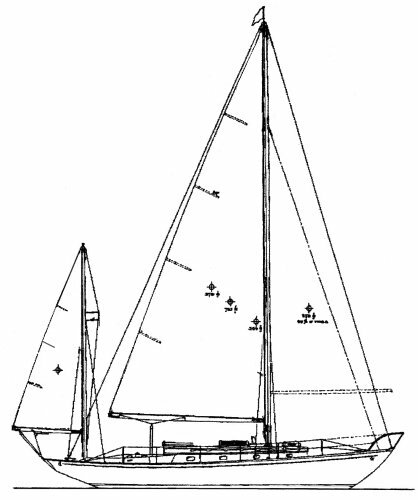 CONCORDIA 41 is a later, slightly longer version of the CONCORDIA 40/CONCORDIA YAWL. Also available as a sloop. Displacement and other dimensions are those listed by the builder in 1965. Rig. dimensions from a rating certificate.